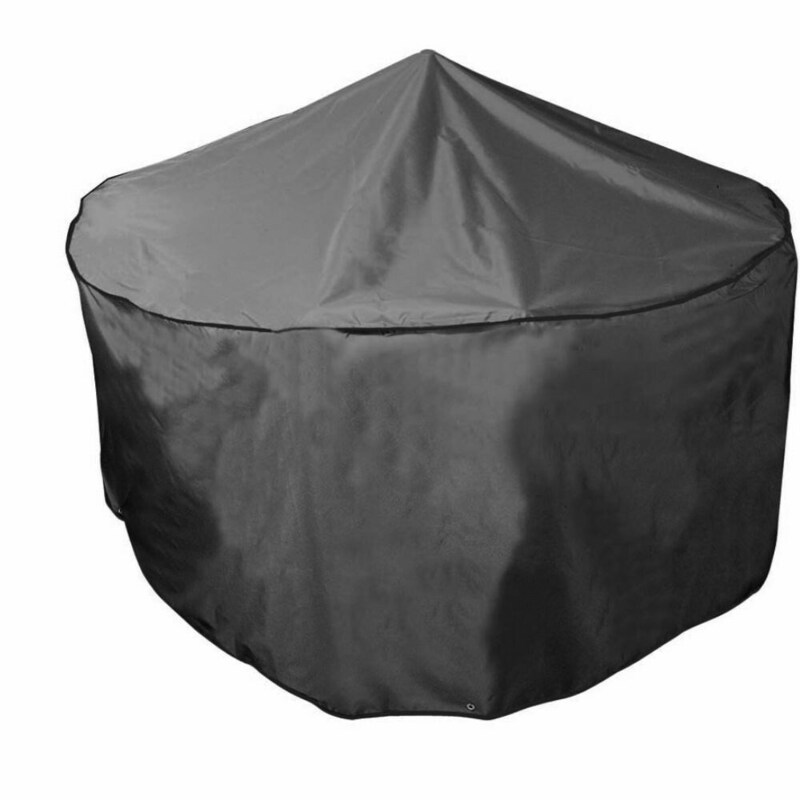 Keep garden furniture clean and protected from the elements with this black woven polyester cover. Designed to fit 4-6 seater round sets, the durable cover will keep out bird droppings, tree sap, dust and water to prolong the life of wooden, metal and resin furniture. Sturdy brass eyelets and cord & lock fixings allow secure fastening even in strong winds, and the cover can be easily wiped clean if needed. Supplied with a 5-year guarantee. Please see below for details of our furniture sets compatible with this cover.